Rome is the beautiful, influential capital city in the Lazio region of Italy. This renowned city of the Roman Empire has been a long-standing centre of power, culture and religion, spanning a history of over 2,700 years. Home to impressive landmarks like the Sistine Chapel, Colosseum, Pantheon and Trevi Fountain, this global city attracts thousands of tourists year-round. Cheap flights to Rome are now available for a limited period of time, so get ready to experience the extravagant culture and historical splendour of this romantic city! Rome is home to two airports - Fiumicino Leonardo da Vinci International Airport (FCO) and Ciampino Airport (CIA). FCO is the major airport, located 45 minutes from the city centre. The ancient historical centre is a UNESCO World Heritage Site, boasting a wealth of monuments, palaces, churches and museums. Rome’s art galleries are unrivalled and house compelling collections from world-famous artists, including Bernini. 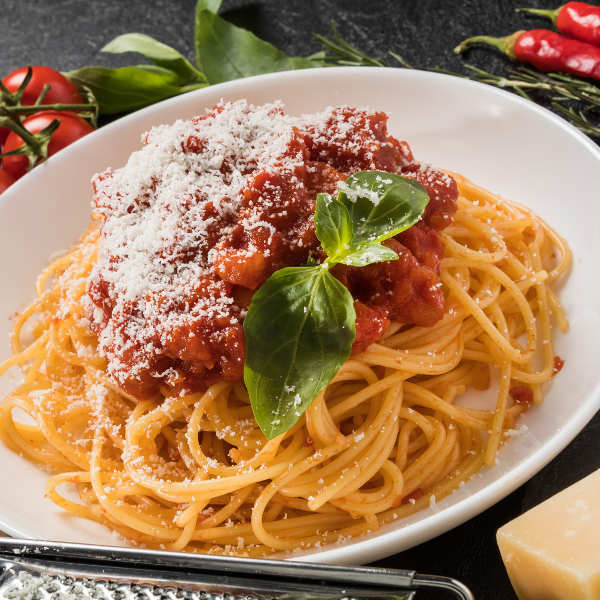 Italian food needs no introduction and Rome boasts some of the best in traditional cuisine and wine. The buttery richness of hand-made carbonara and saltimbocca will melt in your mouth, washed down with a fine Prosecco or Chianti. As one of the world’s fashion capitals, expect to find grand shopping malls infused with haute couture boutiques and antique jewellery stores. The markets are just as thrilling, as you meander your way through hand-made trinkets and sultry cafés. The best time to visit Rome is, ideally, in summer (June-August). The balmy weather and blue skies make it ideal for sightseeing, al fresco dining and indulging in as much gelato as you can! Be prepared for crowds though, especially at popular landmarks. Book attractions ahead of time and skip the queues. Keep in mind that Italians take their vacation in August, resulting in many hotels, restaurants and museums closing over a 2-week period. The shoulder seasons of spring (April-June) and autumn (September-October) are wonderful times to enjoy cooler temperatures and fewer crowds. Easter week sees many locals and foreigners flocking to Vatican City for special ceremonies. Be sure to book accommodation well in advance. If you don’t mind the chilly air and a spot of rain, layer up and go in the low season, between January and March. You’ll be treated to lower hotel rates, near-empty attractions and the charming streets of Rome all to yourself! A city brimming with culture, romance, history and heavenly cuisine – Rome needs no introduction. Whether you’re a first-time explorer or a returning traveller, the Eternal City will delight you with its exquisite architecture, prolific history and vibrant character. The medieval ruins and landmarks of ancient Rome are architectural masterpieces, dating back to around 125AD. Impossible to name them all, sights not to be missed include the Pantheon, St. Peter’s Basilica, the Colosseum, the Sistine Chapel, Roman Forum and Trevi Fountain. Art enthusiasts will marvel at the world-class museums scattered across the city. The Borghese Gallery houses a spellbinding collection of famous artworks. The mosaics and paintings of the Basilica di Santa Maria Maggiore are fascinating, while the unrivalled paintings adorning the Sistine Chapel are awe-inspiring. 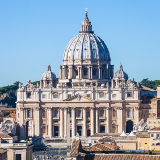 A trip to Rome is not complete without visiting the Vatican Museums – set aside at least a day to fully appreciate the sheer magnitude and beauty of the entire Vatican complex. Capitoline Hill is the heart of Rome’s ancient entertainment. 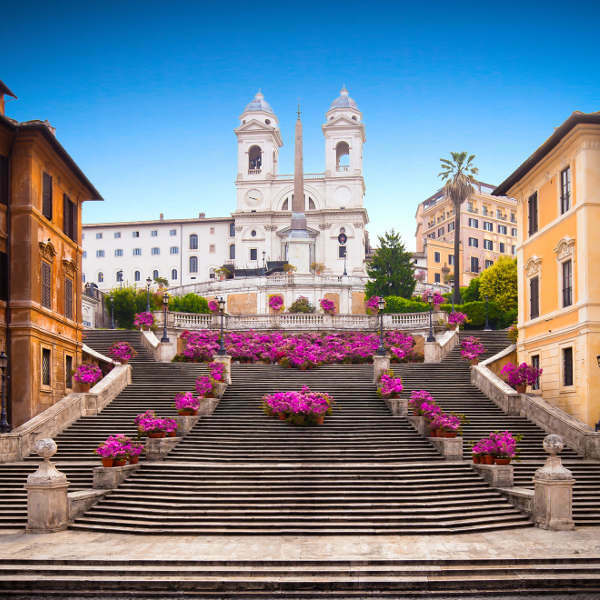 Other must-see attractions include Piazza Navona, Via Appia Antica and the famous Spanish Steps. Haute couture fashion is contrasted with local street markets, selling everything, from clothing to mouth-watering confectionaries. Send your taste buds on a euphoric discovery of Italy’s best dishes. It’s robust wine collections and delectable cuisine are simply delizioso! Compare several airlines, and book your cheap flights to Rome online at Travelstart! Rome is generally a safe city and not much different from any other major European city. As long as you exercise basic precautions, you’ll be perfectly fine. Avoid looking like a typical tourist by not flashing large amounts of money or expensive items. Look out for scam artists trying to sell bus tickets, offering ‘gifts’ at major attractions and demanding ‘admission fees’ outside of churches. Keep your eye out for crafty pick-pockets who may try and distract you while stealing from you. The rule of thumb is, do not carry any money or valuables in any outside pockets. If you find yourself in a troublesome situation, the police are friendly and helpful. 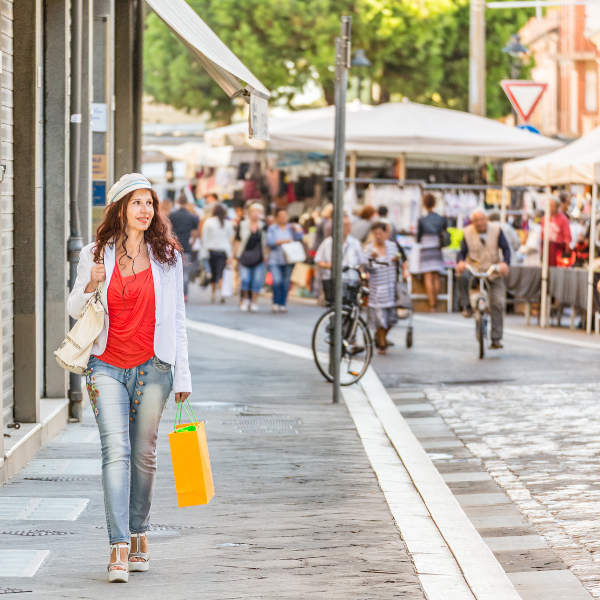 Be prepared for a lot of walking in Rome – comfortable walking shoes are a must, along with sunscreen during peak summer. Pharmacies are well-stocked, though you should consider taking a mini travel kit with basic medical supplies to save on costs. 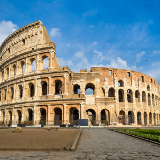 As Rome is such a popular holiday destination, you certainly won’t be short of finding the right accommodation to suit your taste and budget. The Termini District is a popular choice for those looking for budget and mid-range accommodation. A 25-minute walk will get you to the historical city centre, while Roma Termini Station is just around the corner. If you want to be where the action is, the Historical Centre or ancient city is where Rome’s most famous attractions are found. While this area is well-connected by public transport, everything is within walking distance. 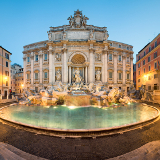 With landmarks like the Colosseum, Trevi Fountain, Vatican City and Piazza Navona right on your doorstep, you’ll feel like you’re a part of Rome’s history. Trastavere is a charming neighbourhood, a little out of the city frenzy but not too far from major sights. The alleyways are fringed with Baroque architecture and pastel colours, with patisseries and wine bars spilling out onto the cobblestone streets. Accommodation is a little on the pricey side, but you’ll soon realise it’s worth every penny! Traversing the romantic city streets is part of experiencing Rome. The ancient city centre is made to be explored on foot. Alternatively, cycling Rome’s streets offers an unparalleled way of getting to know the city intimately. Segways have also become a popular choice for getting around conveniently and efficiently. If you’re staying in Rome for longer than three days, consider getting a Roma Pass which entitles you to full access to public transport, free admission to your first two museums and reduced prices for other attractions and events on offer. Public transport is a compilation of trains, trams and buses. If you’re feeling a little overwhelmed as to which attractions to prioritize, the popular Hop On-Hop Off buses are a great way to get all-round glimpse of the city’s landmarks.